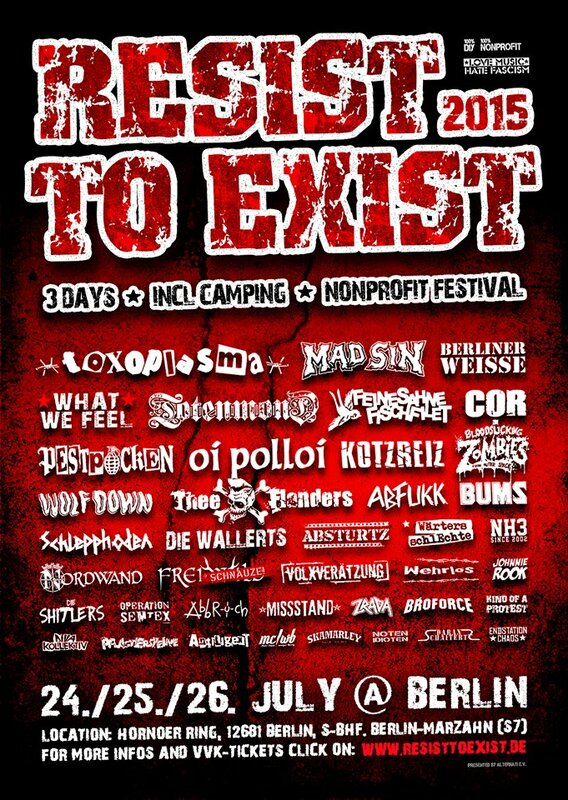 This week end we‘ll hang out with our table at the great Resist To Exist Festival in beautiful Berlin-Marzahn again. Looking forward to meet such wonderful lads and ladies as Oi Polloi, What We Feel, Feine Sahne Fischfilet, Toxoplasma, Wolf Down, NH3 and of course you over there. Du browst gerade in den Fire and Flames Weblog-Archiven nach dem Tag 'resist-to-exist'.